HSN CEO Mindy Grossman should go out and treat herself to a pair of Jimmy Choo shoes: HSN was just named retailer of the year by Footwear News. Footwear News talked to a number of high-end shoe designers who have come to HSN, such as Sam Edelman and Vince Camuto, all because of Grossman, who used to work for Nike. The paper even quoted one of the celebs that Grossman has lured, Mariah Carey. Sorry that we haven’t posted in the past few days, but frankly we’ve been bored to tears with what’s been on HSN, QVC and ShopNBC. We no doubt will be getting press releases shortly about how well everyone did gangbusters selling consumer electronics during Black Friday, Black Friday weekend and Cyber Monday. But a new TV or laptop does not float our boat like a pretty diamond pendant would. OK, we did order Diane Gilman’s $35 Today’s Special skinny jeans, in indigo and winter white. The best home shopping gossip we can dish is about diva Mariah Carey referencing the video — edited by snarky Gawker.com from clips of her last HSN appearance — that went viral. Carey joked about taking brief pauses so people could edit her most recent HSN appearance and “mock” her. And she complained about not being able to hear with her earpiece, and joked about not knowing what camera to look at. In fact, The Hollywood Reporter wrote a story about her appearance. But you can never get the last word in on the Internet, Mariah. The holidays are upon us, so we’ve come up with a home-shopping drinking game to celebrate the festive season. * QVC has a show hawking B. Makowsky handbags. Get them at half the price at TJ Maxx instead. * HSN offers a Signature A or Serious Skincare segment. We’re sick of hearing Adrienne Arpel’s story about her vitamin C capsules. * ShopNBC has an Invicta show, five shots when it has an Invicta Day. As one skeptic asked, does ShopNBC own a stake in Invicta? Is that why its watches are always on the air? * Jewelry Television features chrome diopside. You can tell us it comes from Siberia and is more beautiful than priceless emeralds, but we don’t like it. Jewelry Television isn’t fooling around, kicking off the holiday season with Black Friday Week, or so the home shopping network said Tuesday. The deals continue through this Sunday. The whole shebang started Monday, but we just got the press release today. How about getting your press release out on time, dude? Black Friday Week specials include a sterling silver pink sapphire heart pendant for $23.99, a sterling silver London Blue Topaz ring for $39.99, and a 0.5 carot white diamond ring for $119.99. Colored diamonds, pearls, tanzanite, and watches are on the roster this week. Black Friday Week promotions will be available in limited quantities for a limited time. Grammy-winning singer Mary J. Blige will be back in the house at HSN Nov. 30 to perform a live concert and hawk her perfume. She will also be selling her My Life Blossom Fragrance Holiday Gift Sets as a part of HSN’s 24 Hour Beauty Gift Event. Debuting on HSN in 2010, the record-breaking, award-winning fragrance My Life was inspired by Mary J. Blige’s life experiences. Here is Blige’s canned quote. Fans will have a chance to purchase two limited-edition holiday gift sets from Blige. The My Life Holiday Gift Set includes the My Life Eau de Parfum, Body Lotion and Shower Cream. HSN’s 24 Hour Beauty Event will feature the best beauty gifts of the season from favorite brands including, Benefit, Phillip B, Wei East, Korres, Deborah Lippmann, Lancome and more. HSN has forged yet another partnership with a magazine, this time with Self Magazine. You — yes you — can enter now through Dec. 9 to be one of 10 people selected to follow the “60 Days to Healthier Ways” program. As part of the program, winners will be given the proper tools and guidance they need to succeed, including: ProForm exercise equipment with iFit technology; a personalized fitness routine; a balanced diet plan; and a weekly “touch-base” training session with a Self expert for the entire duration of the contest. Each participant’s progress will be tracked and evaluated and the transformations will be revealed during a special primetime ProForm fitness event live on HSN next May, when all HSN customers will be able to take part in the program themselves at home. Self Magazine will also feature the results in its June issue next year. Focusing on health, fitness and nutrition, the program conveys the message that small changes make a difference in your quality of life and will not only make you look better but feel better into the New Year. This program is part of a successful ongoing relationship with Self Magazine, its parent company Conde Nast and HSN that began in 2008. Grammy Award-winning artist Michael W. Smith will perform live on Jewelry Television this Sunday to promote his new instrumental CD release, “Glory,” the home shopping network said Friday. The Christian singer will appear at 11:45 a.m. and 2 p.m. EST to “share holiday cheer with JTV viewers,” according to the folks in Knoxville. “Glory” is currently available pre-release at JTV.com and will be available in stores next Tuesday. Of course, we have never heard of Smith, but what do we know. We’re from Jersey. 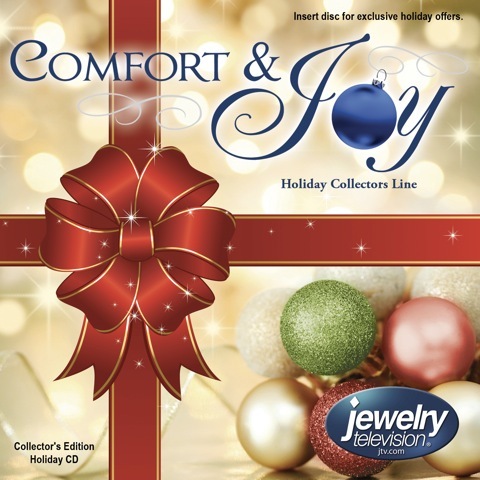 The JTV-Smith partnership, facilitated by AMG-Media, Inc., is the culmination of Smith’s participation in JTV’s Comfort & Joy Collector’s Edition Holiday CD. Designed as a gift with purchase for JTV customers, Smith included the bonus track, ‘Forever’ from ‘Glory.’ Comfort and Joy is an interactive CD with holiday music performed by JTV hosts and employees and includes exclusive behind-the-scenes footage, interviews and special offers. “Glory” is Smith’s 23rd career album. JTV is doing what HSN, QVC and even ShopNBC have done: brought live talent on to hawk their new releases. We’re sure they are gorgeous, but what’s up with HSN selling faux fur coats for $900? The home shopping network Thursday had a show featuring faux fur coats by top designer Naeem Khan. They were done in Tissavel fake fur, which is something ShopNBC used to sell. The price tags were eye-popping. A long fake chinchilla coat was a whopping $700. Other coats in the collection ranged from $450 to $800. ValueVision Media, ShopNBC’s parent, reported disappointing third-quarter results Wednesday, with net sales increasing 2 percent to $135 million. Gross profit at the No. 3 home shopping network rose 6.8 percent to $50 million; gross margin rose to 37.2 percent; and Internet-sales penetration increased to 44.1 percent. ShopNBC had previewed these results earlier this month. “As previously reported, lower than expected Q3 net sales and adjusted EBITDA is a disappointing setback in our progress toward rebuilding the business,” ShopNBC CEO Keith Stewart said in a canned statement. Here is the rest of Stewart’s excuses. ShopNBC reported an Adjusted EBITDA loss of $0.5 million on lower than anticipated sales. In addition, Adjusted EBITDA was impacted by additional TV distribution costs related to a 5 percent increase in average homes and improved channel position in certain markets. It is important to note that investments in distribution help drive increased customer penetration and can take several quarters before they become fully productive. ShopNBC CFO William McGrath chimed in. Well, we’re starting to see who HSN has hired to replace Chris Scanlon and Alicia Perez. They’ve brought on a Jersey Girl, among others. We fell asleep on the couch after an exhausting week with HSN on, and woke up at 5 a.m. Saturday to see new host Lesley Ann Machado on with designer Antthony Mark Hankins. They were both chattering away, and Hankins said they had just met and found out each one was from Jersey. Hankins is from Elizabeth, N.J. He mentioned they had done some “Jersey talk,” as we all do, and that Machado was from a place “one town over” from where he grew up. Machado is Cuban American, and Union City, N.J., has a large Cuban population. We all know that Brett Chukerman, of the racy movies, is also an addition to HSN’s host roster. But we also saw another two names that looked new. Those were Carrie Smith and Anji Corley. Although she can claim roots in Phoenix, Nashville and Los Angeles, there’s a good chance Carrie Smith has been to your town. Carrie began her career working as an emcee on various country music tours before transitioning her talents to in front of the camera. In 2011 she set her sites on her favorite network, HSN. Combining her love for shopping and passion for the latest products with her positive presence on screen, Carrie now feels she is right at home. A New York native, Anji, debuted on HSN in 2011 and is thrilled to help viewers with their shopping experience with flash and flavor! She brings an expertise ranging from interviewing A-list celebrities on TV & radio to transforming the lives of young people through mentoring. This “foodie” savors unique eateries, laughing, traveling and spending time with loved ones. You are currently browsing the Homeshoppingista's Blog By Linda Moss blog archives for November, 2011.